I never really like GoDaddy so I do not have an account there, but if I did, I would move it. Why? Well if you have been keeping your eye on the interwebs, you have to have heard about the uproar over Rep. Lamar Smith’s bill to gives both the U.S. government and copyright holders the authority to seek court orders against websites associated with infringing, pirating and/or counterfeiting intellectual property. The problem with this bill is it lets any copyright holder to make a claim against a site and force the site and in some cases, the ISP to shut down. You can imagine the freezing effect this will have on web and the current understanding of fair use. As such, many people and organizations have been pushing back. So far, 87% of the Wikipedians support a black out. Paul Graham will not longer alllow SOPA-supporting companies to attend Y Combinator events. CEO Ben Huh has announced that they will be moving their array of over 1,000 domains away from GoDaddy unless the registrar recants their support of the act. Ashton Kutcher took his domain off of GoDaddy in Protest. Convinced? Good. Now, if you have a site on GoDaddy, how do you move it? Well @jeff_epstein wrote a nice step-by-step guide. Check it out. Follow these step-by-step directions to transfer all of your domains from GoDaddy to NameCheap. BTW, check out scumbag-godaddy. There will only be more over time. 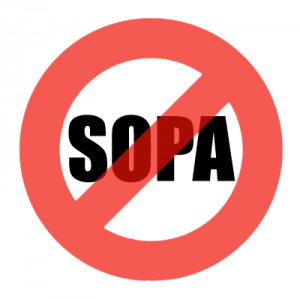 I’m Boycotting GoDaddy because they are pro-SOPA. Step 1: Login to GoDaddy and get to the domain manager. I chose NameCheap (affiliate link). The rest of the images are specific to NameCheap. EDIT: NameCheap is Against SOPA, here is their official stance. People have also sent promo codes: “switch2nc” and “SOPAsucks” – try them too. UPDATED: thanks to Jordan Skole, here is a way to expedite the transfer process. Step 17: Check the “Accept” button and approve! Please do your part and help protect the Internet.